Unlox for iPhone provides an easy enough way to unlock your Mac. It let you unlock your Mac with your fingerprint, writs and your face. Interestingly, you can do so without even unlocking your iOS device. The app may be downloaded for $3.99 from iTunes App Store. To work, Unlox for iPhone requires a Mac with Bluetooth LE (Low Energy) running macOS High Sierra, and an iOS device with Bluetooth LE running iOS 11.2 or newer. Also, you got to make sure your devices support Bluetooth LE before purchasing. Unlox for iPhone works with multiple Macs and Apple watches at once. So no worries even if you have multiple iOS devices. The interactive notifications give you the freedom to not even open the app to unlock your Mac. You’ll receive intelligent notifications when one of your connected Macs is woken up, which you can action directly from your iOS lock screen using your fingerprint, face or passcode. The app also let you control audio. That is, you can also play, pause and skip iTunes and Spotify on your Mac remotely. Audio controls work anywhere the physical keys would on your Mac. It also uses Apple’s 3D Touch. Simply press hard on the app icon to quickly access settings or to lock and unlock your Macs. 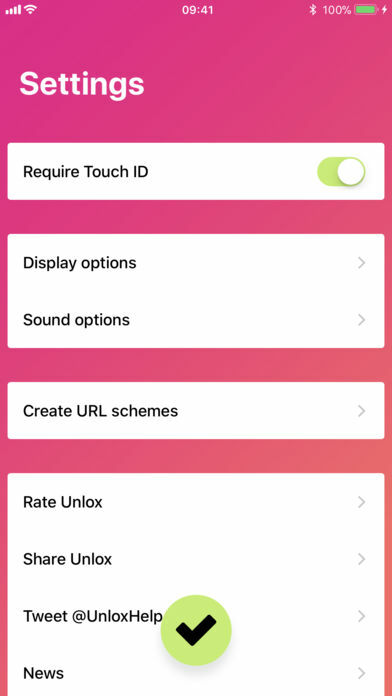 Unlox iPhone app got another feature called URL schemes, wherein you create URL schemes to lock and unlock your Mac from other apps. Clipboard sharing is built right in – share any piece of text quickly and reliably. You can enable Proximity Wake and your Mac will wake its display when your iOS device gets near, with the option to automatically unlock it. This saves time. It also comes with widget support – the handy Notification Center widget will show all your currently connected Macs and give you quick access to lock and unlock them from anywhere on your iOS device. UI design is user friendly. Unlox app for iPhone makes unlocking your Macs and Apple Watch easier and quicker. The app also let you control audio remotely. The app also taps 3D Touch to get quick access to settings or lock/unlock the Mac. Friendly UI layout makes it easy to lock/unlock or customize the settings quickly. Proximity Wake is a nice feature while Clipboard sharing comes handy. It is also secure and stable. Check it out if you’re looking for a tool to unlock your Macs from your iPhone.